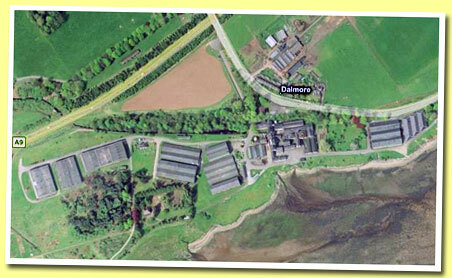 The Dalmore distillery, located north of Inverness, was founded in 1839. Founder Alexander Matheson didn't actually distill the whisky himself there; he immediately leased the distillery to the Sunderland family and they were involved in the operations until 1867. In 1874 Dalmore's number of stills was increased from two to four; quite an exception in those days. After Alexander Matheson died in 1886, Sir Kenneth Matheson sold the distillery to its former operators; brothers Alexander, Andrew & Charles Mackenzie.... More on Malt Madness.